I saw beautiful juicy peaches at the shops today. 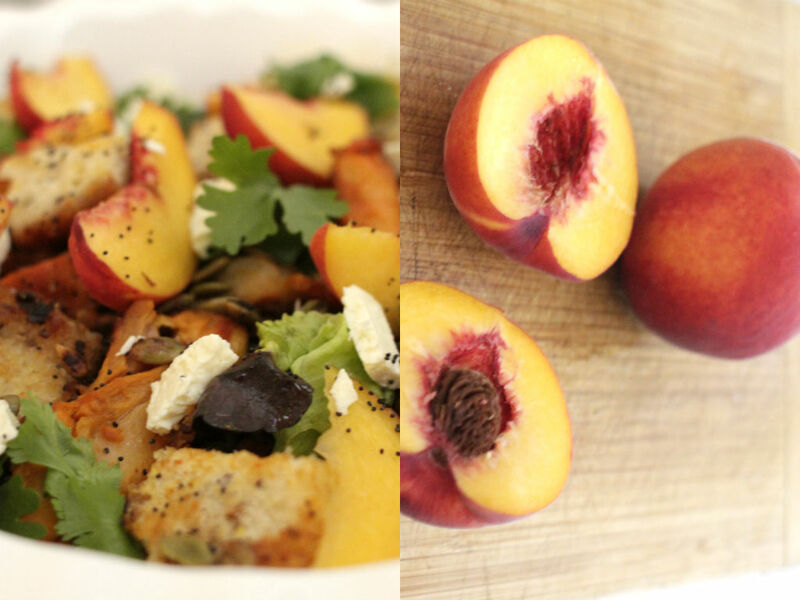 I wanted to make a nice summer peach salad with some chicken for tonight. Peaches are rich in phytochemicals (antioxidants) that fight against diabetes, heart disease and cancer. This orange/ yellow fruit has beta carotene which is responsible for eye health and blood circulation. Want beautiful skin? You should eat these guys more. Vitamin A and C in them keeps your skin healthy, great for skin care. Peaches can also calm down an upset stomach and help you lose weight because it has low calories with no fat. For the recipe, I added chicken and toasted bread for Daniel, but you can make it a vegetarian salad without them. Weather is cooling down slowly. Enjoy summer fruits as much as you can now before they are gone! To assemble the salad, toss the chicken, lettuce and green leaves in desired amount of the dressing. 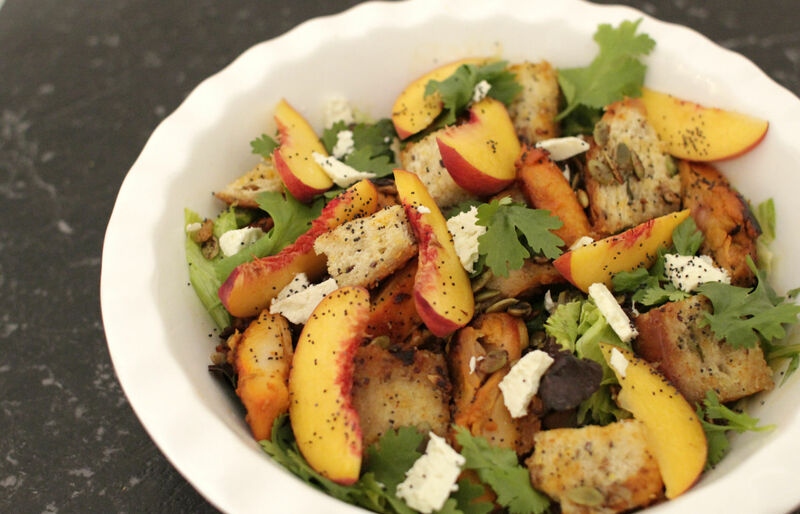 Arrange sliced peaches and finish the salad with crumbled feta, toasted pepitas and poppy seeds on top. Serve with warm toasted bread.